Every Sunday following the worship service coffee, light refreshments and snacks are served in the Fellowship Hall. All are invited to join the St. Luke Family to socialize. Special events are held throughout the year including a traditional St. Patrick’s Day dinner; Easter breakfast; the 4th of July Picnic and the Christmas luncheon along with celebrating special congregational member birthdays. Mah Jongg is played every Thursday in the game room of the Fellowship Hall. 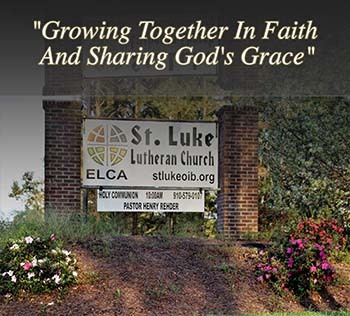 Everyone is welcome –you do not have to be a St. Luke member. The group meets at 11:30 am. They bring their bag lunch and chat while eating. At noon games begin! The second Tuesday of the month at 3 pm the Club meets in The Church Parlor to discuss their latest selection. Everyone is Welcome- you do not have to be a St. Luke member to participate. Several times throughout the year social events are planned for St. Luke members. An evening at a Pelican’s Baseball game and the annual Christmas program & dinner at the Alabama Theatre are some of the favorites.